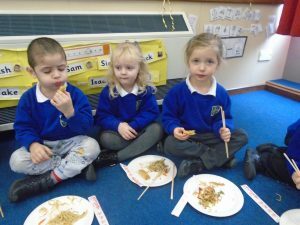 This week we celebrated Chinese New Year. 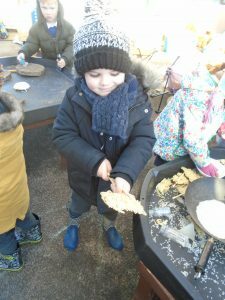 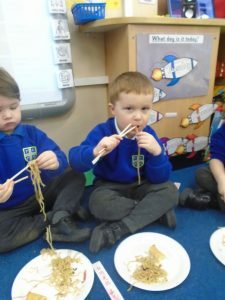 We learnt where China is in the world and how the Chinese prepare for their New Year by cleaning their house, putting up red decorations and lanterns, having a meal, giving good luck money envelopes and watching dragon parades. 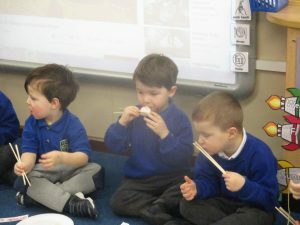 We watched a dragon parade video and heard the loud fire crackers! 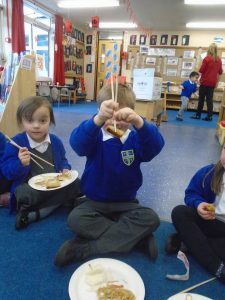 We also decorated our role-play area and made it into a Chinese restaurant and made some dragon masks and red money envelopes to take home! 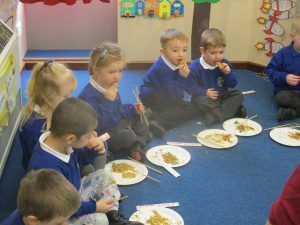 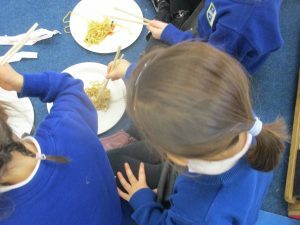 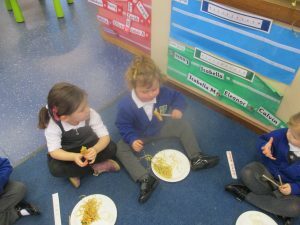 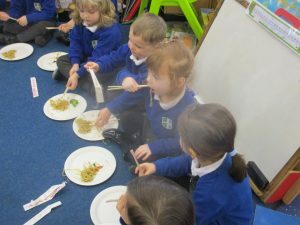 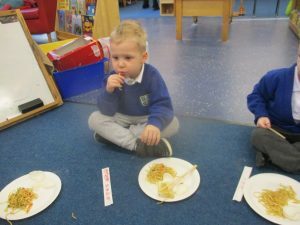 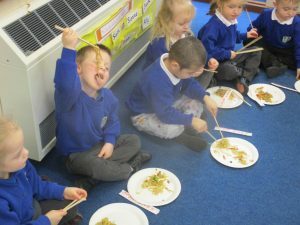 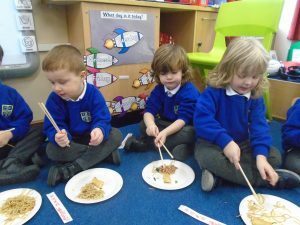 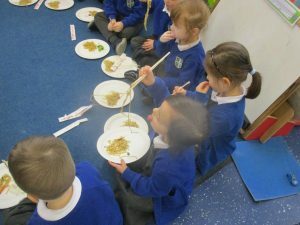 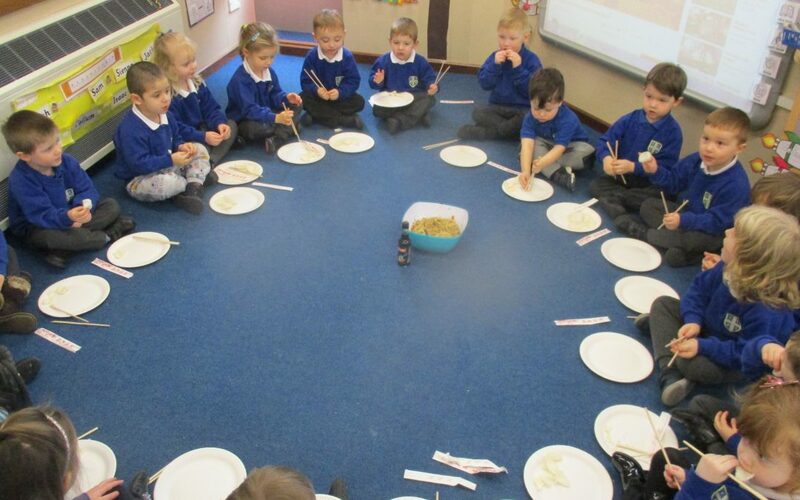 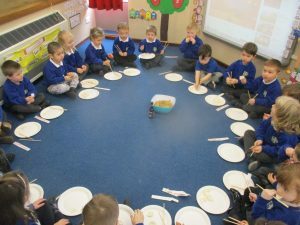 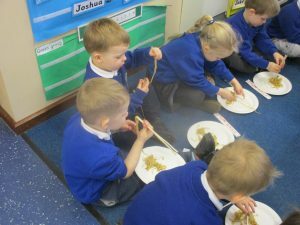 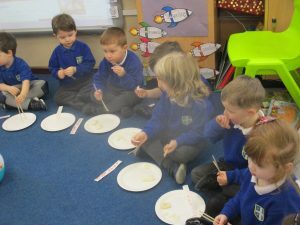 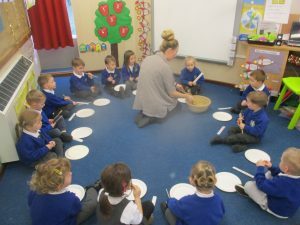 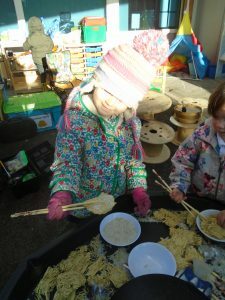 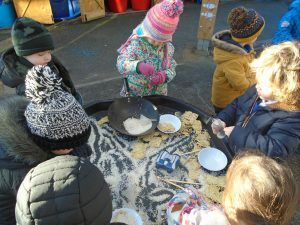 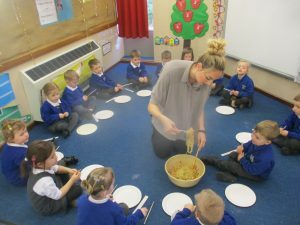 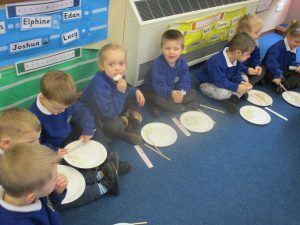 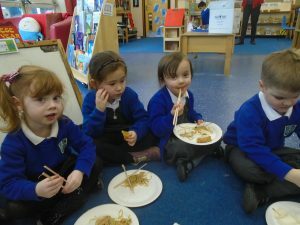 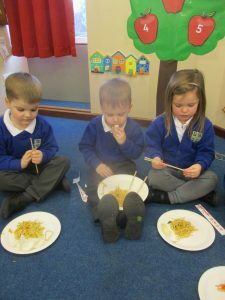 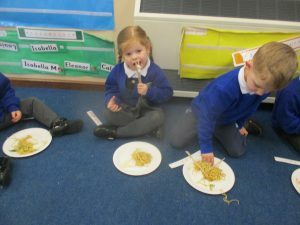 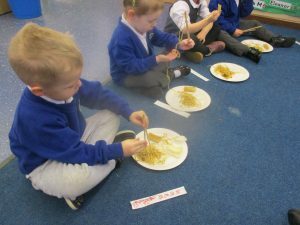 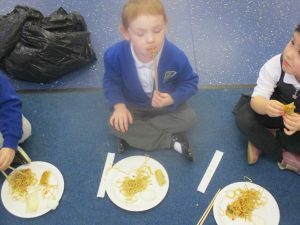 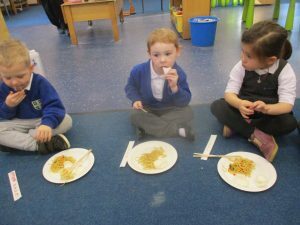 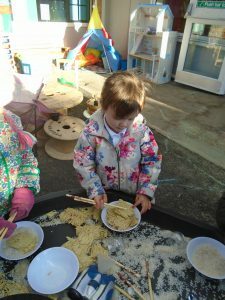 We practised using some chopsticks with the dry noodles! 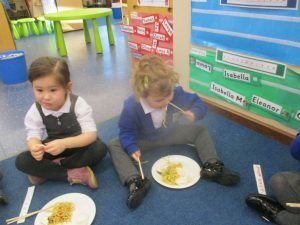 We had some Chinese food with chopsticks! 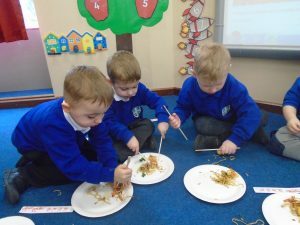 We tried stir fry, spring rolls, prawn crackers and fortune cookies!